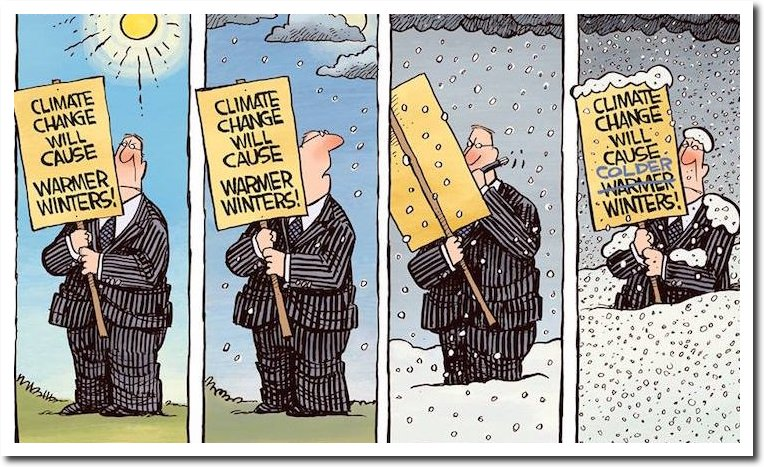 Hyping The Weather To Fit The Political Narrative Of Climate Change! What Global Warming Looks Like! We live in a day and time when anything that happens weather-wise has to have a name or a label attached to it. No longer can we simply say its really hot, really cold, really wet or really dry. Each and every storm has to be labeled by the mainstream media and some private forecasting companies. This is done because in part of competition and ratings. Whatever clever headlines grabs our attention the quickest and most often is now widely used. A winter storm no longer just a winter storm...its a Polar Vortex (which is wrong when using this term) or "Winter Storm Horrible" for example. Yes I'm making fun of these terms and nicknames of these storms and weather events because in my humble opinion its simply absurd to do so! 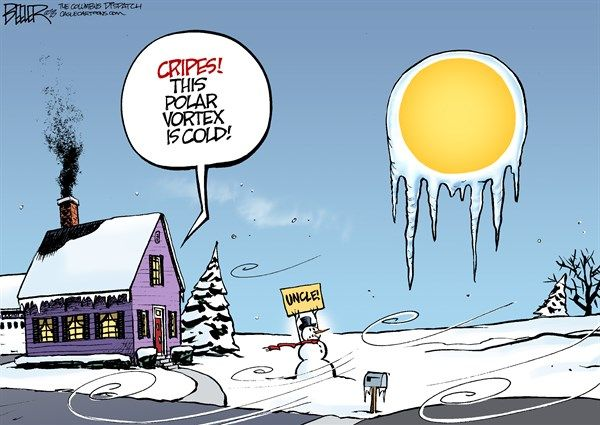 Look out the Polar Vortex is coming because of Climate Change or something to this effect read many weather related headlines this past week. Have you ever noticed that the proponents and propagandists who work so hard pushing the Climate Change Agenda are always moving the goal post? In doing so they are always short of making their goal too. Meaning for example that ten years ago snow would be a thing of the past and our children and grandchildren would not know what it was in the future. Yet many of us across parts of the country have seen record snowfall over the past ten winters. Or how about New York City will be underwater by 2015 because of sea level rises due to global warming. Last time I checked that hasn't even remotely come close to happening. On and on they go with their ridiculous claims and forecasts that are never verified or come true. Why? Because they are lies meant to scare you and I into submitting to their political scare tactics. Weather by definition is extreme with frequent swings from one side of the thermometer to the other (even in the dead of winter). Winters of past have been as brutally cold or colder many times over. Climate Change has nothing to do with today's weather headlines. Unless you believe what the mainstream media is feeding you. Its been both hotter and colder than it is now. Its also been snowier, windier, wetter, and drier than our present weather. Weather cycles. It always has and it always will. So does our planets climate and it too always has and always will as long as there is an atmosphere surrounding it. When it comes to weather I learned a long time ago that "records are made to broken" and at some point and time it will always be hotter or colder than what we have witnessed in our lifetimes. For example, prior to June 27, 1994 New Mexico's all-time high temperature record of 116ºF was set in Artesia on June 29, 1918 and tied again in Orogrande on July 14, 1934. The WIPP Site located 17 miles east-southeast of Carlsbad shattered these records on June 27, 1994 with a reading of 122ºF. Although it would likely be very difficult its entirely possible that some day New Mexico may even experience a hotter temperature than this. Today (February 1st) marks New Mexico's lowest official temperature ever recorded too. In the tiny northwestern New Mexico community of Gavilan which is located north of Cuba and east-southeast of Farmington,the thermometer plunged down to a bone chilling -50ºF on February 1st, 1951. Its entirely possibly that some day New Mexico will see an even colder temperature than this recorded. Wild Temperature Swings This Week. Wind chill temperatures dived down into the bottom of the barrel this past Wednesday night with widespread readings of -30ºF to as low as -70ºF across the upper Midwest, Great Lakes, and south-central Canada areas. Valid At 4 AM MST January 31st, 2019. 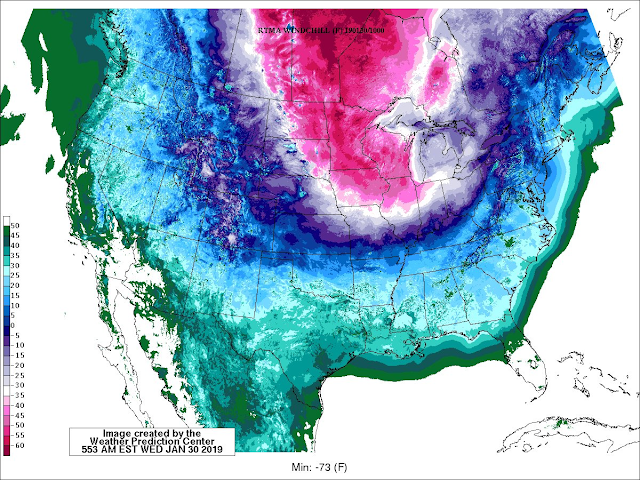 Low temperatures Thursday morning were brutal with readings of -30ºF to -50ºF noted. 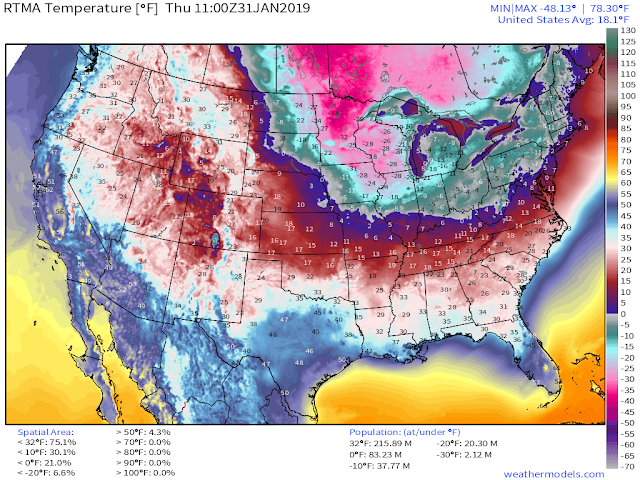 Preliminary Record Low Temperatures January 30th, 31st, 2019. 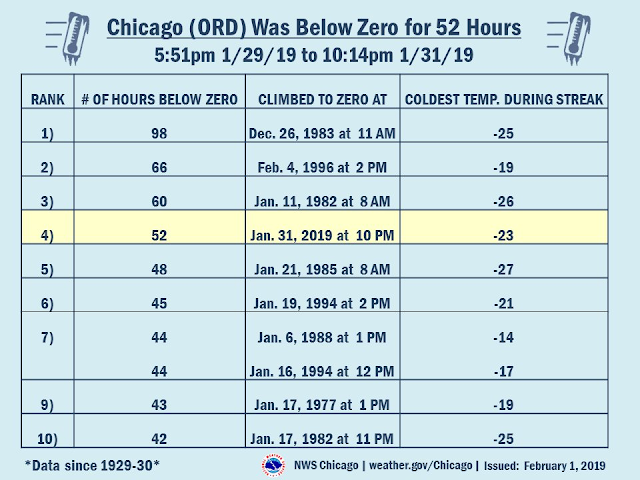 4th Coldest Streak Of Below Zero Temps In Chicago. Coldest In Minnesota Since 1996. WOW. Crazy cold in Cotton! Officially the cooperative observer station has recorded a low of -56° so far, current -55°. #MNwx @NWSduluth (photos okay for media use). Cold Outbreak January 27-31, 2019. The arctic outbreak from January 27-31, 2019 had some of the coldest air to visit Minnesota since 1996. 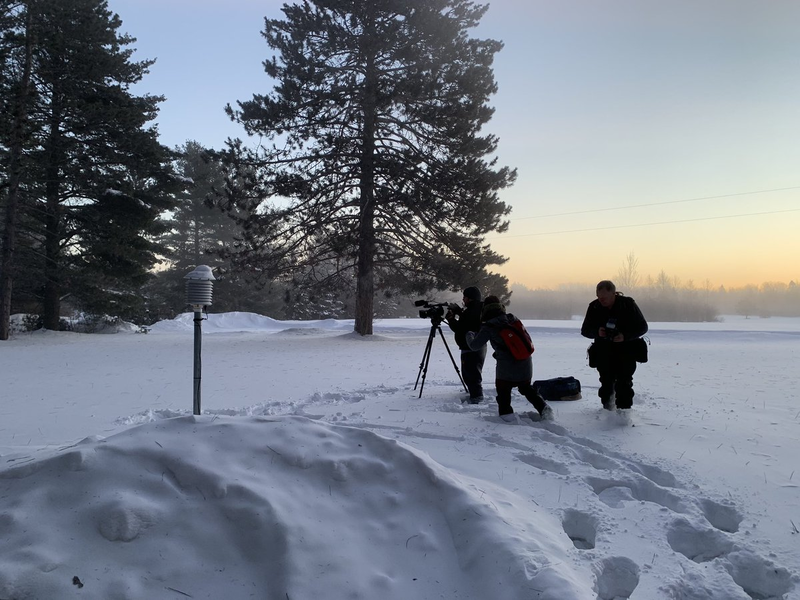 The -56 degrees F air temperature at Cotton 3S on January 28, 2019 was the coldest ambient air temperature in Minnesota since the -60 degrees F reading near Tower on February 2, 1996. 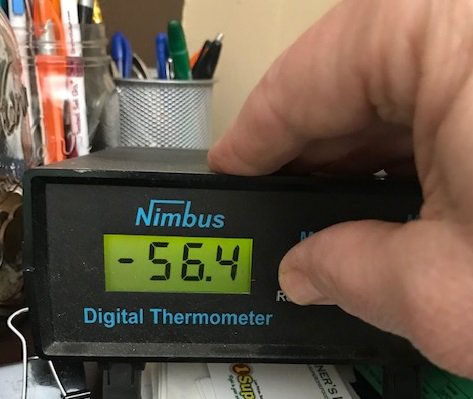 The -28 degrees F air temperature in the Twin Cities on January 30, 2019 was the coldest ambient air temperate in the Twin Cities since -32 degrees F on February 2, 1996. The -13 degrees F maximum temperature on January 30, 2019 was the coldest maximum temperate since -17 degrees F on February 2, 1996. 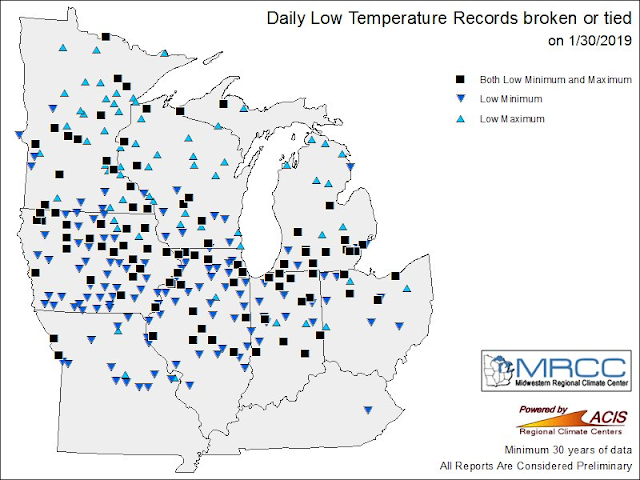 Neither the minimum or maximum temperature in the Twin Cities on January 30 set a record for the date. However, the -56 at Cotton on January 27 did set the daily statewide record minimum temperature for the date. The old record was -54 at Pokegama Dam in 1904. Cotton 3S also saw -56 degrees F on January 31, breaking the daily statewide record minimum temperature for the date as well. The old record was -55 degrees F at Embarrass in 1996. 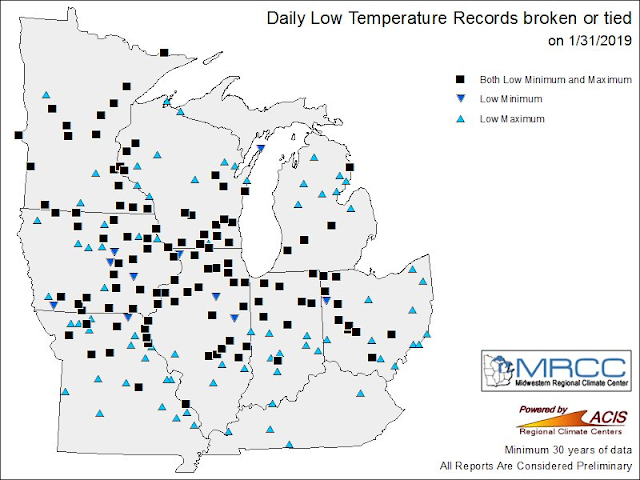 Some record cold maximum temperature records were set across the state as the mercury stayed in the teens below zero on January 30. 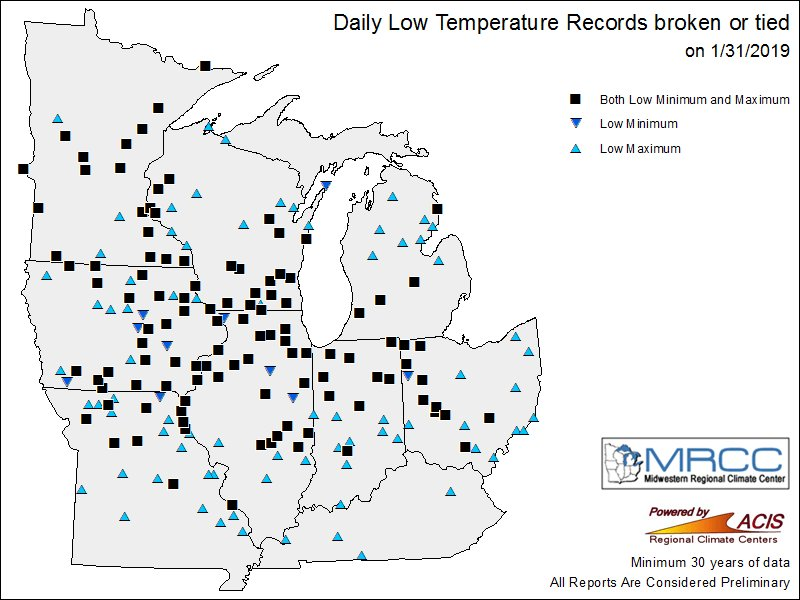 Some of these records include: -14 degrees F at Duluth, -19 degrees F at Rochester and International Falls and -17 degrees F at St. Cloud. Now This Just Three Days Later. NWS NDFD Forecast High Temperatures Sunday. 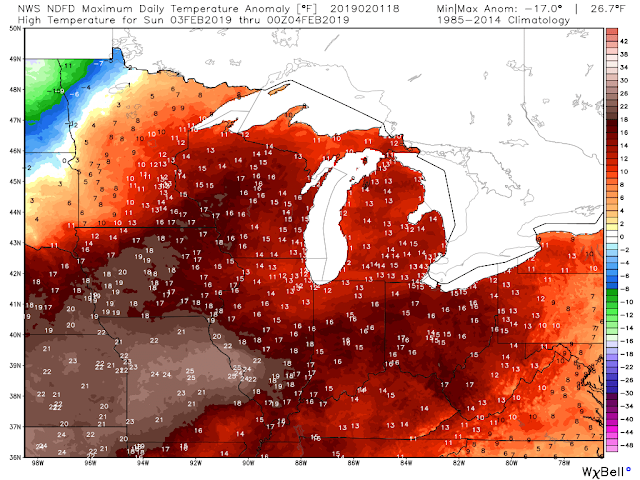 Midwestern NWS NDFD Forecast High Temperatures Sunday. 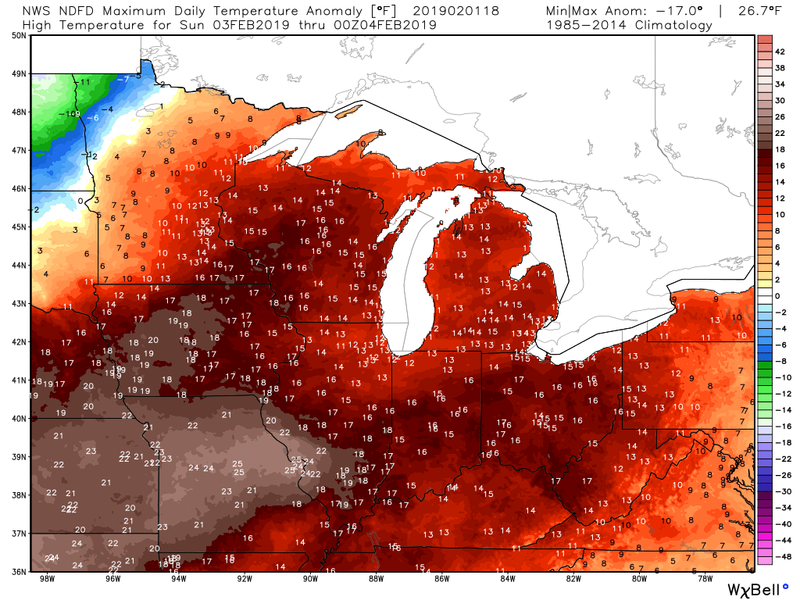 Midwestern NWS NDFD Forecast High Temperature Anomalies Sunday. This is how weather works and how it can easily swing from one extreme to the other...even in the dead of winter. 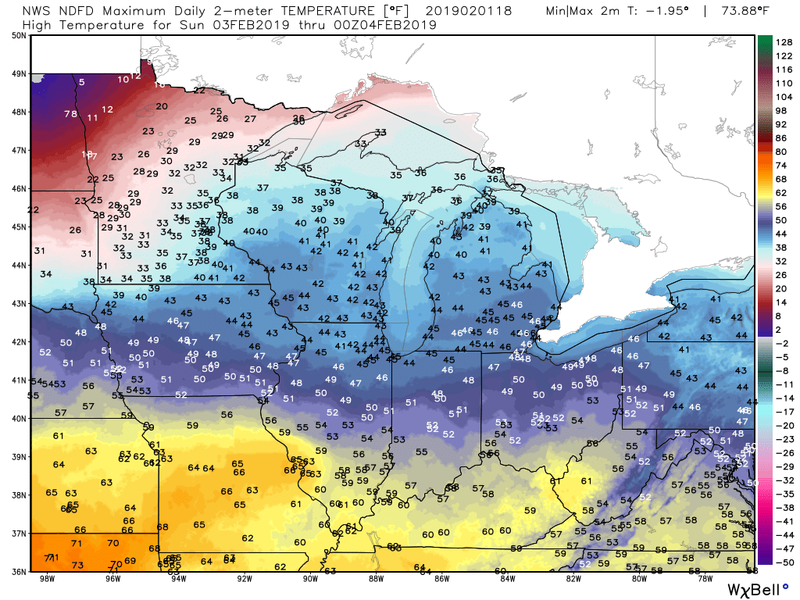 After seeing lows dive down to -30ºF to at least -56ºF in the upper Midwest this past Thursday and Friday, with highs ranging from just below zero to around -20ºF, the forecast for Sunday has this very same region warming up dramatically into the 30's, 40's, and even the 50's! Across the region that's just about a 100 to 110 degree temperature swing in three to four days! 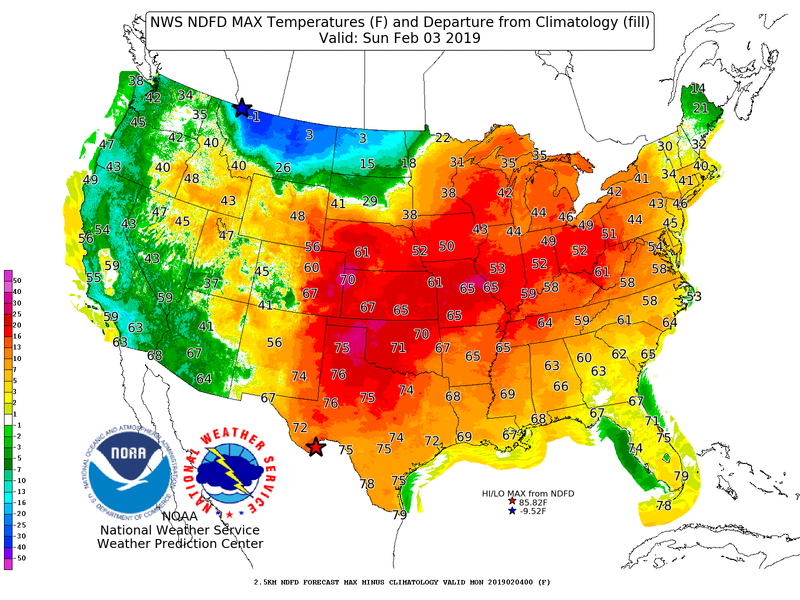 High temperatures in this area of the country are forecast to be some fifteen to twenty five degrees above normal Sunday. This after seeing the coldest weather they've had since the mid 1990's and 1985. 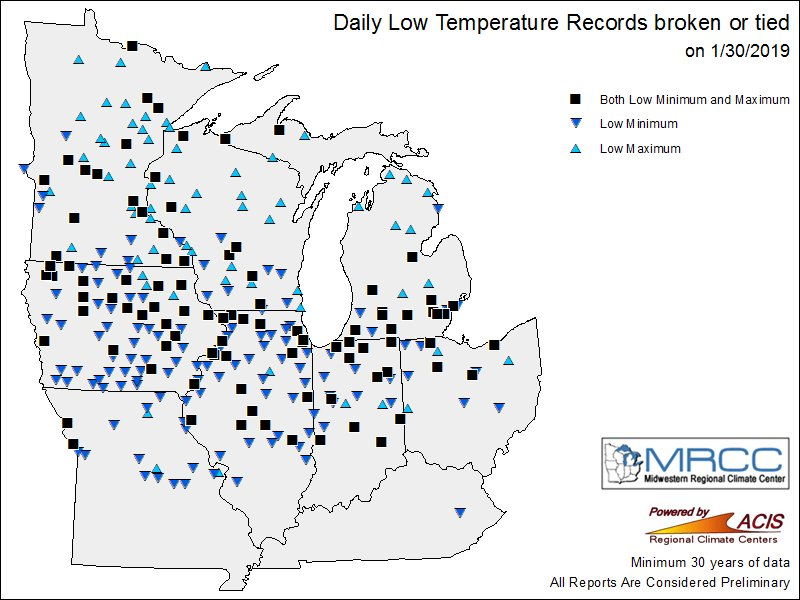 Yes I am acutely aware that there were dozens of new daily record low high temperature and record overnight low temperatures set in this latest winter cold outbreak. 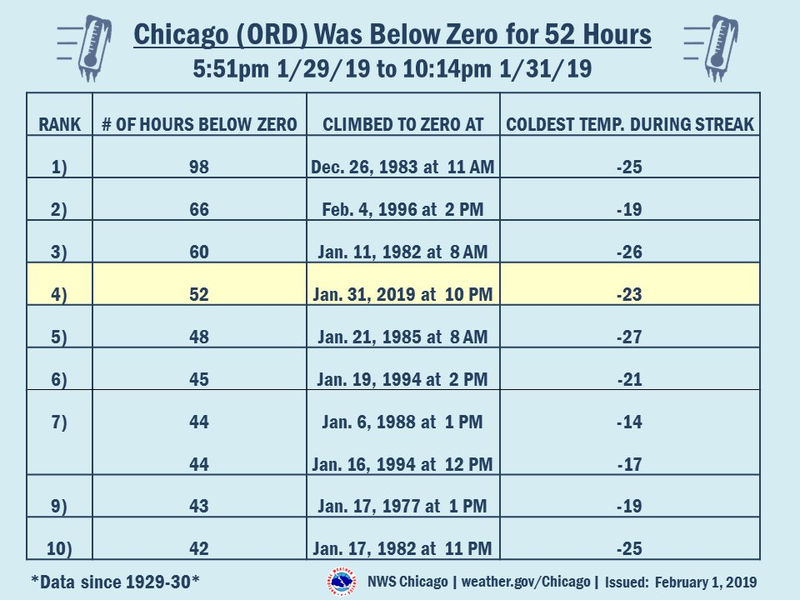 And yes some parts of this region saw some of its coldest wind chill readings seen since the 1990's and 1985...and in some cases, the coldest ever. Guess what? Yet another blast of arctic air is forecast to head southward and southeastward out of Canada the first of next week knocking the above temperatures back down into the freezer. This is weather folks...this is what it does.